“Science is based on evidence, so it is important for scientists to communicate their findings objectively and accurately. 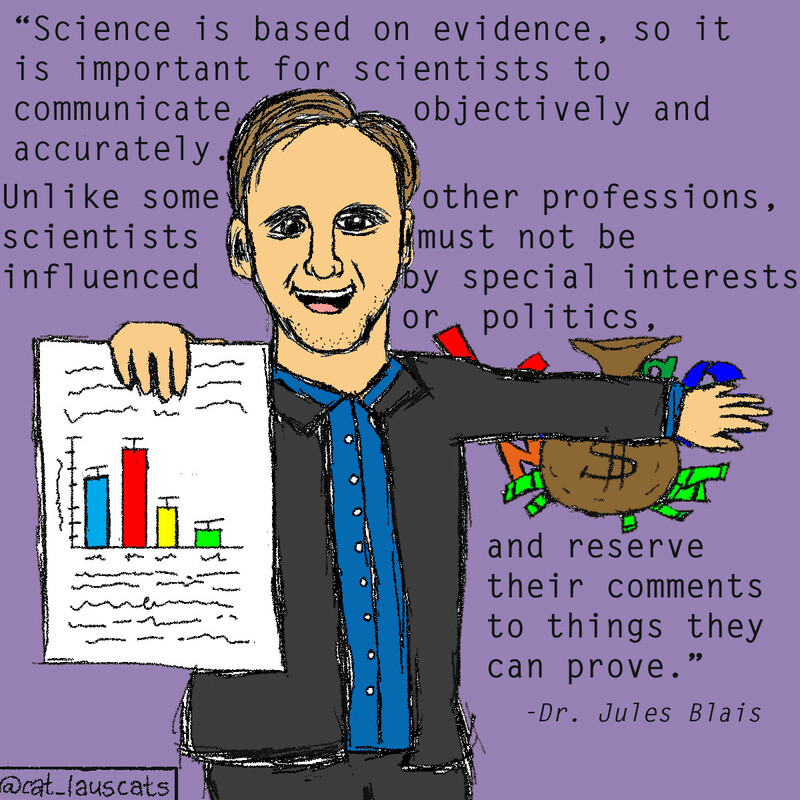 Unlike some other professions, scientists must not be influenced by special interests or politics, and reserve their comments to the things they can prove.” – Jules Blais, professor of chemical and environmental toxicology at the University of Ottawa, and founder of FACETS journal. Originally posted on October 7, 2016.